In her book The Willpower Instinct, Kelly McGonigal, Ph. 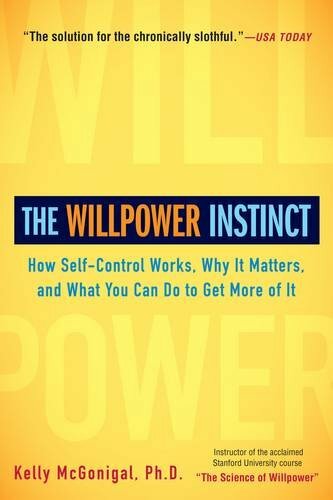 D. examines the principles of self-control and provides readers with exercises to improve their self-control and flex their willpower muscle. At the beginning of the book she identifies three powers that shape our self-control. I won't - the power that gives you the ability to avoid the things you don't want to do. I want - the power that gives you the ability to see beyond immediate temptations and focus on the greater good. I've found that using these three powers as a method for facilitating a behavior is useful. Creating a chart and listing desired behaviors is a great first step in being intentional about identifying where you want to improve and identifying the things that might trip you up. It's a bit of a spin on McGonigal's work, but I find this method is helpful. Using the chart, I like to think about my aspirations first. I'll list those in the "I Want" column. Then I'll focus on the things I need to do in order to reach those aspirations by listing those in the "I Will" column. Finally, I'll list those things I anticipate to cause conflict with my aspirations in the "I won't" column. Writing these down has a magical effect on raising your awareness and commitment to taking the next step. May you overcome yourself and reach your goals and aspirations!